From 1948 through 1988 The Tigers and the Tide had played their annual game in Birmingham, with the two teams alternating as "home" teams. In 1989 Jordan-Hare got its first taste of the game, and beginning in 1993 would do so again in all the odd numbered years. 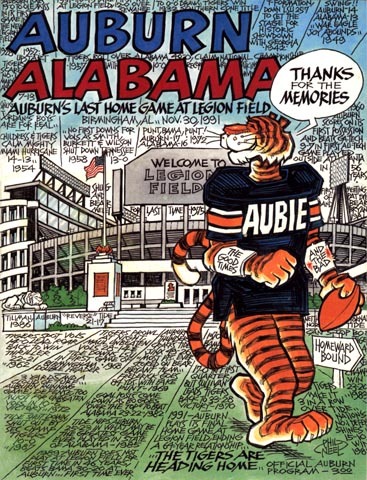 This 1991 game would be the last "home" game for Auburn in Birmingham, although in the even numbered years Legion Field would still function as the home site for Alabama for the rest of the 20th century.